SXSW EDU has partnered with The Association of Texas Professional Educators for the third year to provide conference attendees with continuing professional education (CPE) credits, March 5-8, 2018. We’re excited to share the lengthy list of sessions that have been accredited for March 5-8, increasing access to amazing professional development. The ATPE team has thoroughly reviewed the entire SXSW EDU programming schedule and found 200 sessions that meet CPE criteria. Sessions and workshops that qualify for CPE credit will be tagged both on the online schedule and in the printed conference materials to help attendees identify eligible sessions. SXSW EDU attendees who attend the CPE-eligible sessions will receive a code that they can use to log in to the ATPE Professional Learning Portal and receive credit. And you don’t have to be an ATPE member to use the ATPE system. You can log on as a guest to claim credit for your CPE hours. 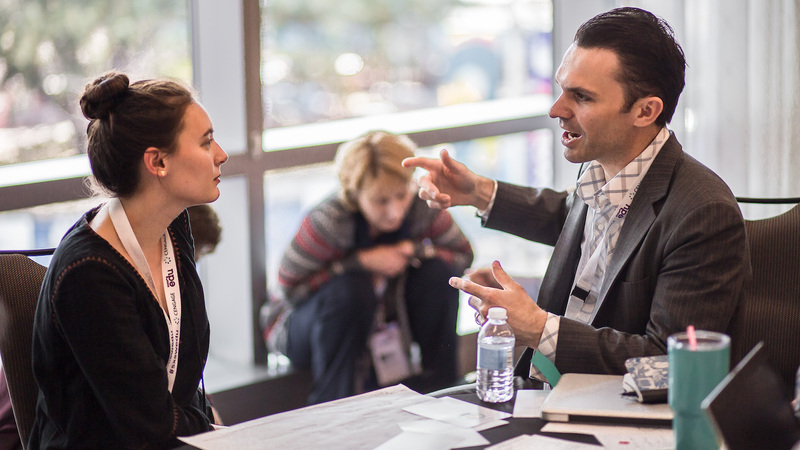 Don’t miss all of these sessions and more, register to attend SXSW EDU, March 5-8, 2018, for four days of unparalleled learning and inspiration. Workshop photo by David Zacek.